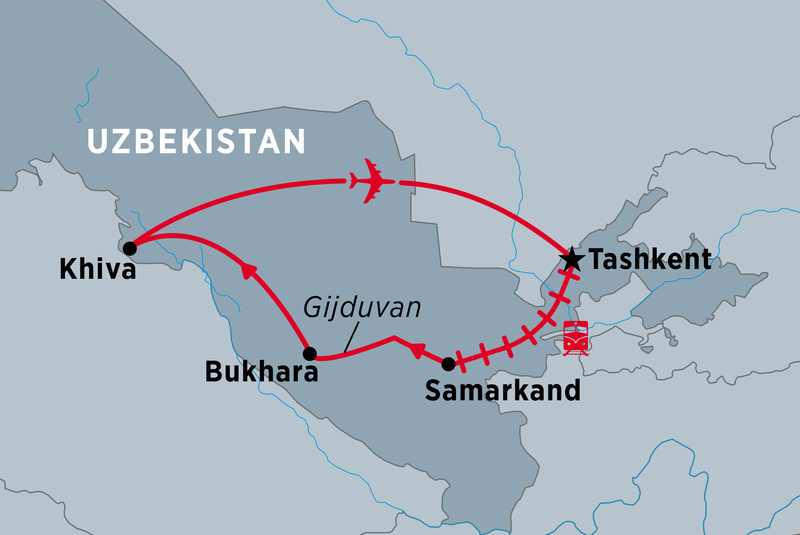 Journey back to the days of the Great Silk Road with the medieval cities, stunning architecture and turbulent history of Uzbekistan. Begin in modern, cosmopolitan Tashkent and voyage out into the deserts to uncover 2000-year-old fortress cities lost in the sands of time. Stand awestruck, as Genghis Khan once did, in front of Bukhara’s Kalon Minaret, gaze upon Samarkand’s mighty Registan Ensemble. Join a local family for dinner and learn a few things about making plov and raise a drink while you enjoy the colorful Khiva at sunset from a rooftop.